Chelsea face Manchester City at the Etihad on Sunday, as Maurizio Sarri’s side look to get back into the top four as well as influence the title race by taking points from their hosts. 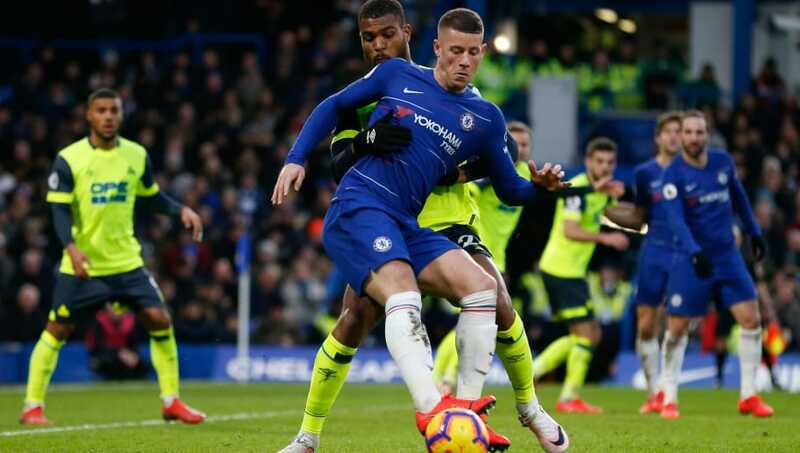 The Blues were rampant during their last Premier League outing as they smashed bottom club Huddersfield 5-0 at Stamford Bridge. The result against the Terriers however came after defeats against Arsenal and Bournemouth, which means that the London club will travel to Manchester in rather patchy form. Chelsea were the team that dealt Manchester City their first setback in their title defence, as they defeated Pep Guardiola’s team 2-0 at Stamford Bridge in December. Here is how Sarri’s team could line up on Sunday. Kepa Arrizabalaga (GK) – The £71m summer signing from Athletic Bilbao has played every minute of his debut Premier League campaign. Cesar Azpilicueta (RB) – The Chelsea captain is another player who has not missed a moment of the Premier League season for his side. The game against City could be his 35th appearance in all competitons. Antonio Rudiger (CB) – Started on the bench for the first time this season against Huddersfield as Andreas Christensen was favoured instead of the German. 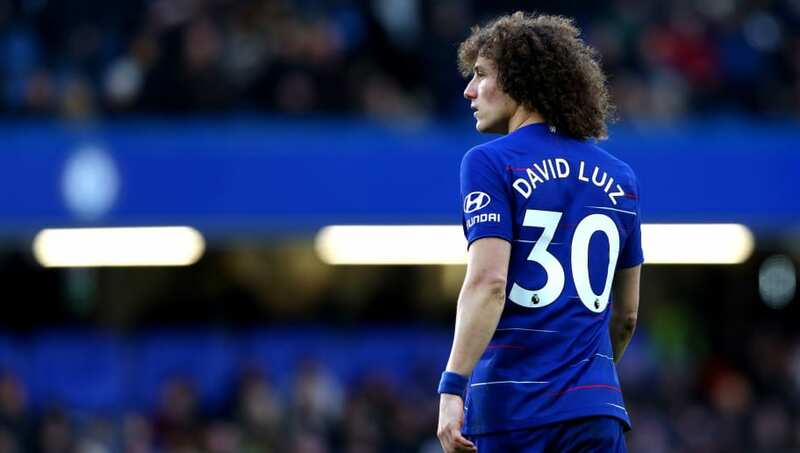 David Luiz (CB) – The 31-year-old Brazilian scored one of Chelsea’s five goals against Huddersfield Town. Has proved to be a key player under Sarri despite being rather inconsistent at times during the campaign. Marcos Alonso (LB) – Chelsea’s undisputed first choice left back has also been an integral member of Sarri’s back line at Chelsea, only missing one Premier League game this campaign. N’Golo Kante (CM) – The Frenchman will be in for a busy afternoon at the Etihad as it is highly likely that City will dominate possession, with Chelsea looking to cause problems on the counter attack. Jorginho (CM) – The Italian who is a key component of Maurizio Sarri’s tactical plan in west London, is still yet to register a Premier League assist since joining the Blues. The 27-year- old’s composure in the middle could be essential to Chelsea’s chances of leaving the Etihad with a positive result. Ross Barkley (CM) – The English midfielder – who joined from Everton in January 2018 – started their last match against Huddersfield Town and looked impressive during the easy win. Could have earned a second consecutive start. Willian (RW) – Maurizio Sarri will be hoping that the Brazilian’s pace and flair can give the City defence plenty of problems on Sunday. Willian only has three Premier League goals this season. 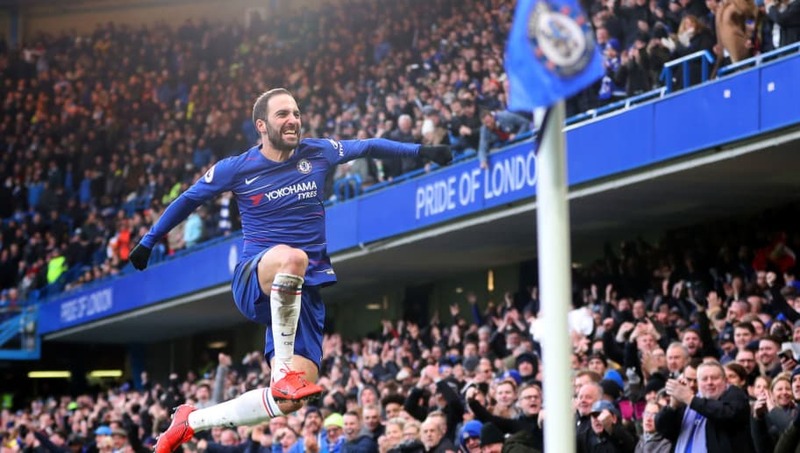 Gonzalo Higuain (ST) – Bagged his first two Chelsea goals during the Blues’ demolition of Huddersfield. Sarri will be hoping that the Argentine’s confidence will be heightened by his performance last time out as he will lead the line against City. Eden Hazard (LW) – Chelsea’s main man. Hazard may be given a free role in the Chelsea attack as the Blues will be looking to supply the Belgian with the ball whenever possible.